All Tours4Fun tours, river cruises, expedition cruises, and adventure trips. Find the best guided trips and expert planned vacation and holiday packages. 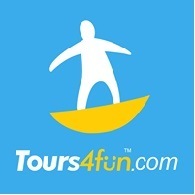 Average rating of 4.9 for all Tours4Fun trips. interesting and comprehensive taste of the region. waterbucks and buffaloes that are always at the banks of the Nile. you can also enjoy a welcome and a farewell dinner hosted by the company. and learn about Pablo Escobar and the impact of drug trafficking in Colombia.